The Carbon Cub EX-3 and FX-3 are two new variants of our well recieved Carbon Cub series. The Carbon Cub EX-3 is an experimental amateur built (E-AB) kit, and the Carbon Cub FX-3 is our FX (Factory eXperimental) builder assist version. Both are highlighted by a new and more powerful fuel-injected engine, constant-speed propeller, and higher 2,000 lb. gross weight limit. Both aircraft inherit design fundamentals from the Carbon Cubs that have come before them, but incorporate advanced capabilities from our flagship XCub. The Carbon Cub EX-3 and FX-3 are also first to exploit CubCrafters’ exclusive, all-new, CC363i powerplant. Performance expectations are high from a Carbon Cub, and the new EX-3/FX-3 are sure to advance those expectations even further. A more powerful engine driving an ultra-light constant-speed prop produces 20% more thrust than any Carbon Cub to date. The airplane delivers a vigorous pull upon takeoff, and climbs at an extraordinary rate. These new birds are also the fastest Carbon Cubs, with speed up to 145 MPH. In 2008, CubCrafters introduced the 180 HP CC340 engine for our original Carbon Cub. Both the aircraft and the engine were instant hits. Now, Carbon Cub power takes another step up. The all-new CC363i powerplant produces 186 HP and, just as importantly, drives a composite constant-speed prop. CubCrafters developed a new engine that features fuel injection from Precision Airmotive and dual electronic ignition by Lightspeed Engineering for greater thrust, higher efficiency, and faster throttle response. We created an impressive ultra-lightweight cold-air induction system, fed by a new intake scoop in the lower cowl, to control airflow. The unusual curved plenum is molded in carbon composite and assures precise intake distribution. Push the throttle and power advances instantly. CHTs and EGTs are amazingly consistent across all cylinders. The new intake scoop features a clever alternate-air door that opens automatically, feeding the induction plenum with heated air in case the primary intake is iced over or otherwise blocked. 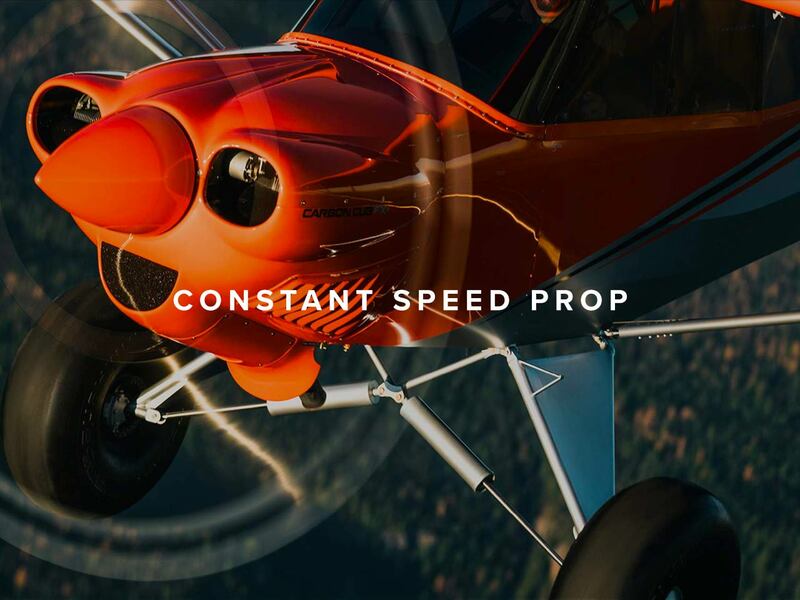 New to the Carbon Cub family is the Hartzell Trailblazer constant-speed prop. This is the same composite model installed on our flagship XCub, this time in 80″ or 83″ lengths. The combination of the new CC363i engine and Trailblazer prop on this lightweight aircraft delivers a thrill ride that must be flown to be believed! Hartzell’s Trailblazer prop allows the CC363i engine to deliver full available power upon takeoff and climb, assuring the new model’s position among top STOL performers. The pilot may choose a wide range of power settings to maximize speed, range, or endurance. Top speed for the new airplane is rated at 145 MPH (with 8.50×6 tires), and it cruises comfortably at 135 MPH. Throttle back to 110 MPH and fly for well over six hours! The new composite cowl on the Carbon Cub EX-3 and FX-3 borrows low-drag cooling cues from the XCub. Louvered vents on each side facilitate efficient airflow and exhibit an aggressive appearance. Molded carbon baffles, designed specifically for the CC363i, direct cooling air to cylinders and oil cooler. CHTs typically never approach 400 degrees, even in a full throttle climb. The FX-3’s blend of fuel injection, proprietary cold-air induction, electronic ignition, and efficient cooling relieve the pilot’s concern for engine temps. Like all models in CubCrafters’ line, the pilot’s view of the runway over the tapered cowl is unobstructed. The new Carbon Cubs not only carry more, but also operate at higher speeds. The new construction of the Carbon Cub EX-3/FX-3 airframe supports an increased gross weight of 2,000 lbs and speeds greater than 140 MPH. Despite the Experimental certification basis for the EX-3/FX-3, the entire airframe has endured structural, systems, and flight testing that is similar to that of our FAA Part 23 certified aircraft. Our new engine gave us the opportunity to create an all-new heating system in the new models. In a first for the Carbon Cub series, panel-mount controls direct warm air to separate vents, front and rear, as well as to the windshield defroster. 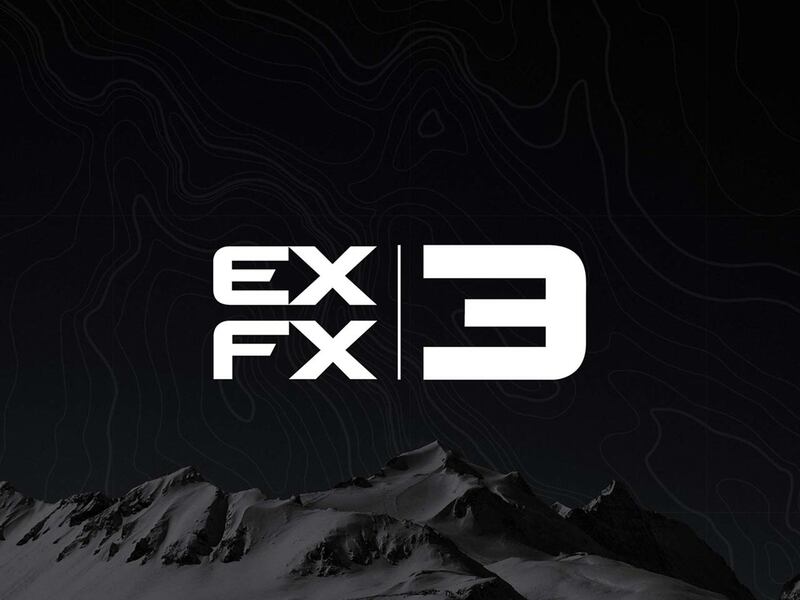 The EX-3/FX-3 will keep pilot and passenger warm and comfortable, and assure unobstructed visibility and improved safety, even in the coldest environments. We received overwhelmingly positive reviews of the control stick and grip in the XCub, and the stick/grip combo in the EX-3/FX-3 is very similar. In fact, the taller stick requires a facsimile of XCub’s control system, albeit with cables rather than push-rods. The thoughtfully formed grip falls readily at hand when the pilot rests an arm on his or her leg. In concert with the G-Series ailerons, inputs are rewarded with a predictable and tactile response. Like previous Carbon Cubs, the grip includes the control for electric trim and comm PTT.